fizinfo - [Fizinfo] Fwd: For distribution: CERIC call for proposals now open! [Fizinfo] Fwd: For distribution: CERIC call for proposals now open! Subject: [Fizinfo] Fwd: For distribution: CERIC call for proposals now open! A CERIC-ERIC meghírdette a 10. felhívását a konzorcium tagjainak az analitikai infrastruktúráihoz ld. alább. Subject: For distribution: CERIC call for proposals now open! 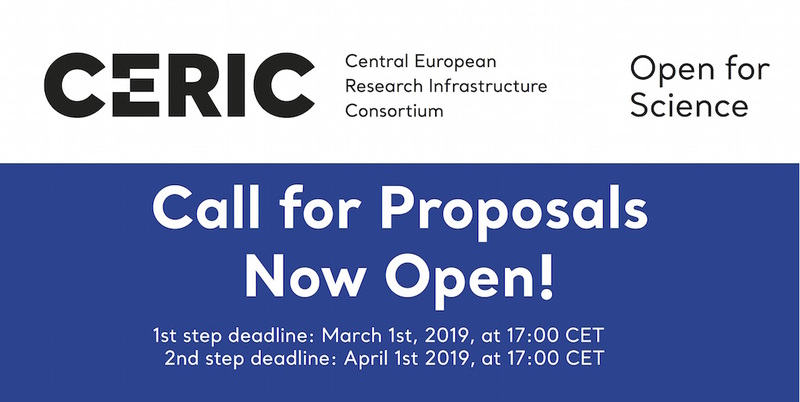 The CERIC call for proposals <https://www.ceric-eric.eu/users/call-for-proposals/> is now open! Your support in the distribution of the announcement about the call opening (through your website's, newsletter, networks, etc.) would be very useful to give this opportunity a wider visibility among national user communities. Please find below the text of the ad and a banner in the attachment, with the highlight of the call's deadlines. Here <https://twitter.com/CERICnews/status/1091277978313605120> is also a tweet that we posted, and here <https://www.linkedin.com/feed/update/urn:li:activity:6497044177157652480> a LinkedIn post, that you may share on your social media channels. - _/March/__/1/__/st/_, 17hs CET, to have a pre-evaluation and the possibility to improve your proposal. - /_April _//_/_1st_/_/__,__17hs CET, recommended only for expert users of all the techniques requested. CERIC-ERIC <https://www.ceric-eric.eu/>, the Central European Research Infrastructure Consortium, offers access _to more than__50 complementary state-of-the-art instruments_ for multi-technique research proposals, in nine European countries. A detailed description of the available instruments can be found here <https://www.ceric-eric.eu/users/labs-and-instruments/>. The access to CERIC is open to researchers from all over the world free of charge, upon the condition that results are published and CERIC acknowledged. Partial financial support for mobility is available.